I have decided to take my camera out with me whenever I go and I was so pleased that I did. 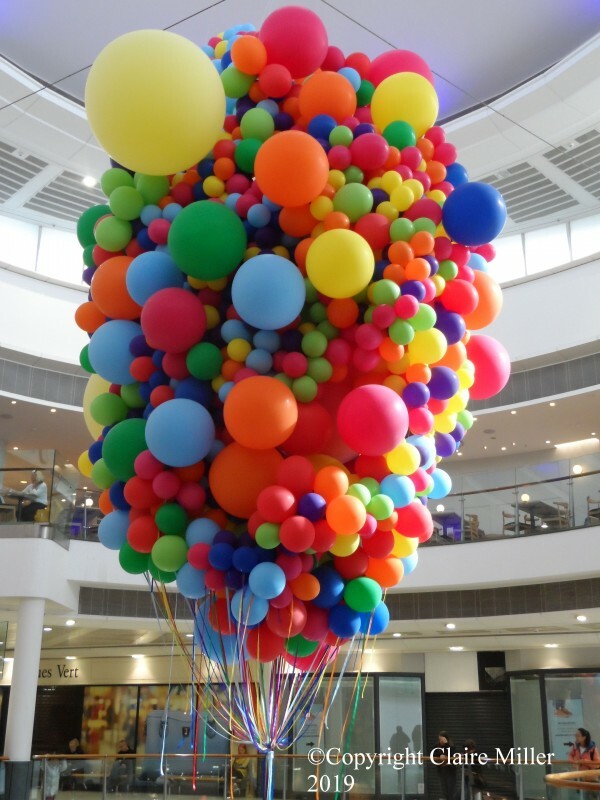 I saw this wonderful tower of balloons, in the photo in this blog, at Buchanan Galleries. I wondered if a basket was connected to the balloon strings where would I fly to. I imagined myself flying through the air leaving a rainbow trail in the sky. Where the rainbow trails met the ground life would spring up bursting with colour. Flowers of red, green, blue, purple, yellow, orange and light blue would carpet the ground, their scents filling the air with sweet perfume. The characters I would meet would be larger than life and full of adventure. Where do you think you would go? Who do you think you would you meet?